Choosing your beauty products can be complicated sometimes. There are various products that you could try. Especially if you have sensitive skin. Should I try this? Will this product suit my skin type well? Surely, you'll have the same questions, because I do too. 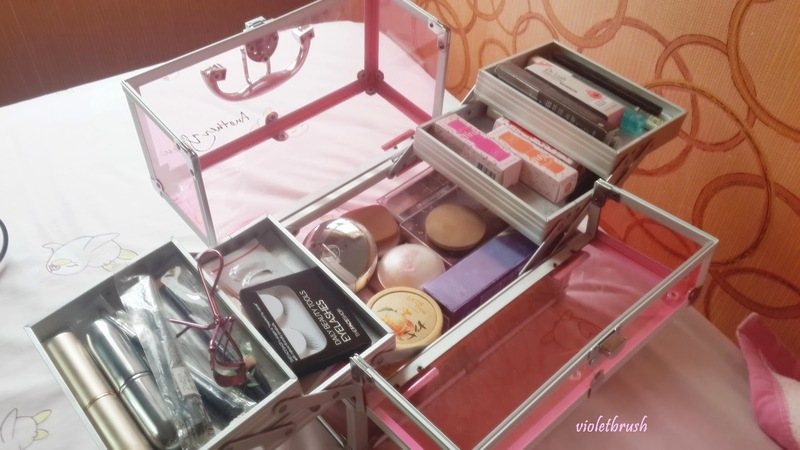 I will mainly talk about how to choose your beauty products if you have a sensitive skin like me. I easily get blemishes if I use beauty products which are unsuitable for my skin type. Firstly, choose a product that really matches your skin type; dry, normal, or oily skin. It's better if you use products from the brands that you are familiar with. Secondly, don't hesitate to stop using products that are unsuitable for your skin. For example, you start using product A then a few days later you get blemishes or your skin gets too dry, etc. Thirdly, a high-end beauty products doesn't always suit your skin. Delete the prejudice in your mind that every kind of high-end products will be suitable for your skin. It's a big mistake, trust me. Sometimes, even low-end products will suit your skin really well. 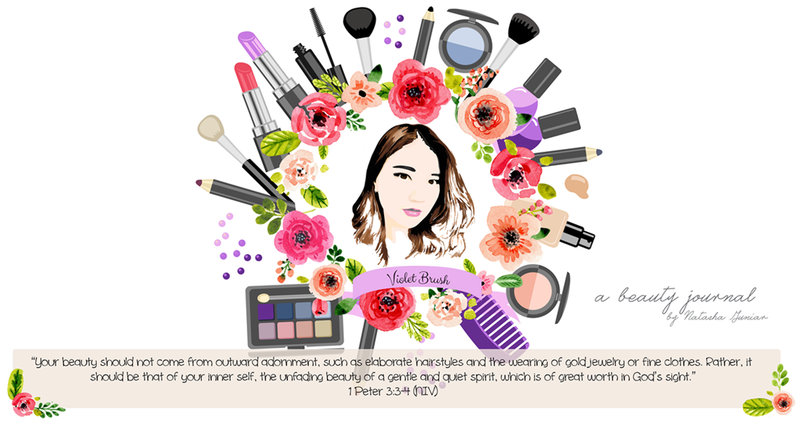 Lastly, I suggest you to stick with beauty brands that you've tried and suit your skin. The more frequent you change your brands, it will be riskier. But, it's okay if you want to try a new product, just remember the second thing I told you. Before I apply anything to my face, I apply my skin care products from my dermatologist (I have sensitive skin that's why). 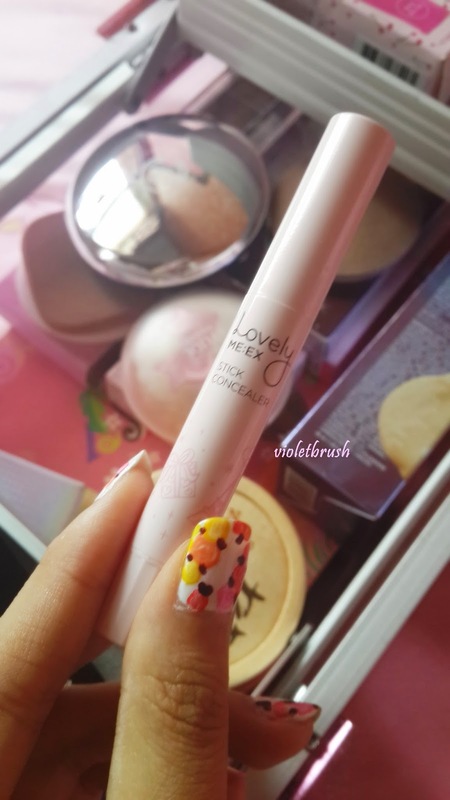 I apply my concealer first to my flawed spots, like blemishes, dark circles, etc. 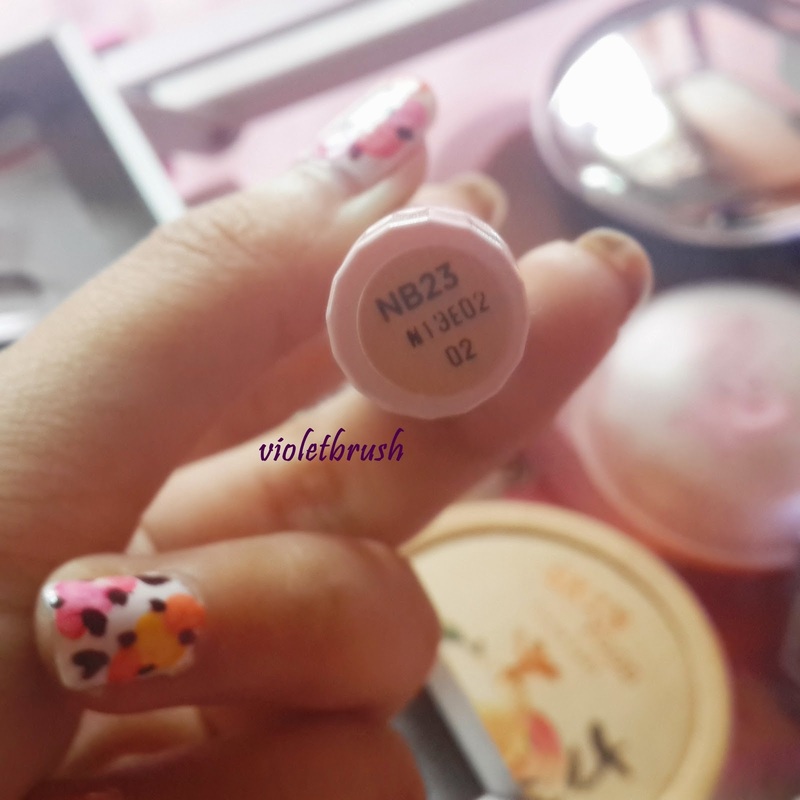 I use The Face Shop's Lovely ME:EX Stick Concealer in shade NB23: natural beige. This concealer does cover your skin flaws but the coverage is just medium. Since I don't really like heavy makeup looks, I prefer to use BB cream than foundation. 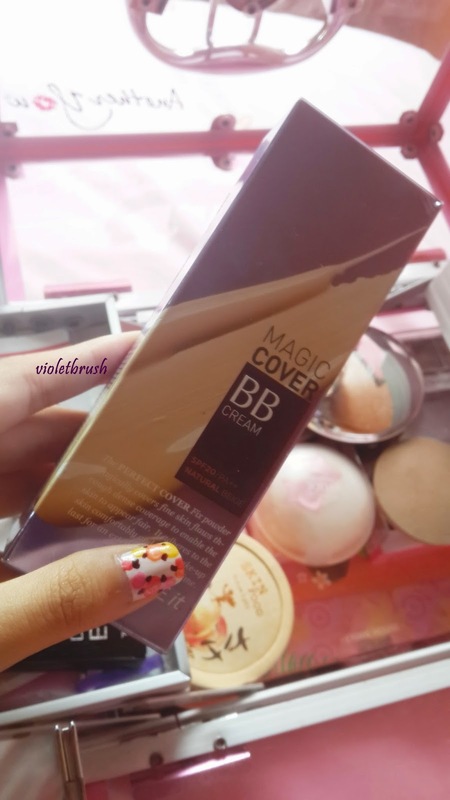 I use The Face Shop's Magic Cover BB Cream in shade 02: natural beige. This BB cream really feels light on your skin and does cover your flaws but it's quite sheer. I have to apply more amount on my flawed skin spots. What's good about this BB cream is it brings out your natural glow. Sometimes, I blend it with liquid highlighter for more noticeable glow. Then, I cover my face with The Body Shop's pressed face (compact) powder in shade 03. This powder doesn't contain any foundation so it doesn't cover anything. I don't recommend you to use this powder alone without any base. Actually, I usually use the one which contains foundation but when I wanted to buy it, it was out of stock. 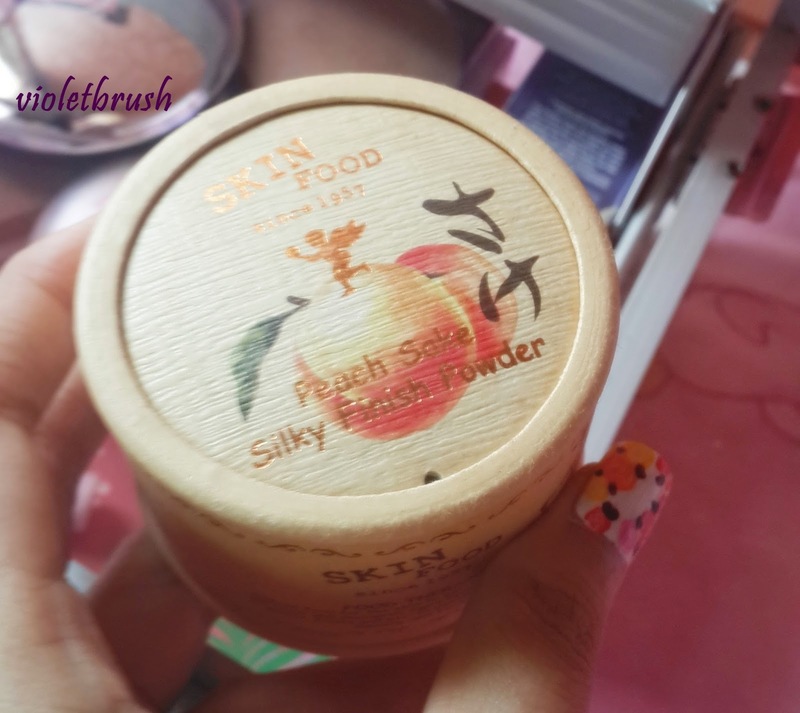 Lastly, I apply Skin Food's Peach Sake Silky Finish Powder using powder brush ligthly after I've completed my makeup. This loose powder is really smooth and soft and I really love the peachy smell <3 This loose powder doesn't come in any shades. I don't really recommend this for those who have dark skin.